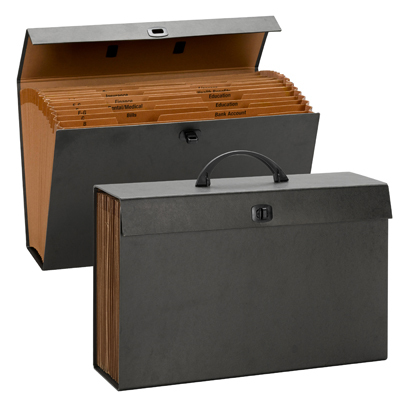 Stay organized in your office or on the road with this 19 pocket expanding file box. 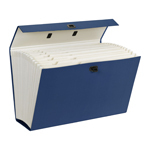 The Expanding File Box holds more than 1400 sheets of both letter and legal size paper. Comes with printed tabs/labels (A-Z and Subject), as well as a comfortable handle and a twist-style closure.